Today this blog, by the grace of Holy Trio, has exceeded 10,000 hits! A big THANK YOU to all devotees, friends and other interested people who made this possible within seven months. 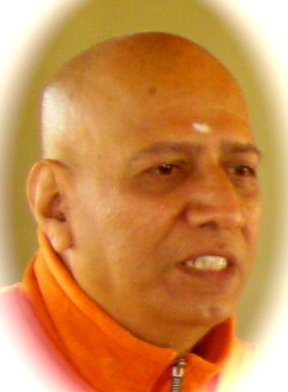 The varied comments that the posts are eliciting from diverse people – from school students to senior citizens – are creating a lot of interest in me to learn that the blog, a tech tool, can be also usefully employed in disseminating the ideas and ideals of our Master, Mother and Swamiji and vedanta in particular as practised by these savants. May the blessings of them be on all of you is my earnest prayer! All of Swamijee’s articles are really inspiring and awesome to read! I totally agree with my dad, as we were waiting eagerly to meet Swamijee on Krishna Jayanthi but did not get that blessed opportunity! Anyhow we had a spiritually electrifying Krishna Ashtmee Celebration here in Pmburg. It is so amazing to see Swamijee has over Ten Thousand people reading and visiting Swamijee’s blog!! MAGNIFICENT! Congrats Swamijee!! Looking forward to many more such articles!! Not being part of the “silent majority” I have decided to add my voice to the many comments of devotees in congratulating revered Maharaj. As mum always says, “Master’s message speaks for itself.” Not to mention the sweet way in which Maharaj manages to deliver his message. Bearing this in mind, it comes as no suprise that Maharaj’s blog has recieved such success. Congratulations Maharaj, we are indeed blessed to have revered Maharaj with us! We are so fortunate to have you in our holy company. The discourses that you deliver on auspicious festivals and Saturday Satsanghs are very fascinating. This is a fantastic medium for interaction with you and thank you for sharing your knowledge and your spiritual experiences of Motherland with us. It was interesting to note your feedback on your first Krishna Asthmee celebration in our country. We are looking forward to more wonderful articles like this. HUM SE TUMKO BAHUT HAI, TUMSA HUMKO NAYE. PLEASE DO NOT FORGET ME, EVEN IF YOU MEET 1 LAKH (1,00,000) PEOPLE. YOU HAVE MANY LIKE ME, BUT I DONT HAVE ANYONE ELSE LIKE YOU…. Whether it is 10,000 Devotees or 100,000 Devotees, Please keep on SHOWERING MART OF BLISS THROUGH YOUR BLOG. Many congratulations, Swamiji. I am sure with the blessings of Thakurji and Maa Sarada the numbers will cross the next mark very soon. Better late than never, I am not alarmed that God does get his work done silently. This is certainly a powerful medium to communicate Master’s message to the world and wish Maharaj all the best in the future. Congrats, is an underestimation for your achievements that you have instilled in South Africa, and across the world via this blog. May the grace of he Holy Trio always be upon you, and may THEY continue to use you as their medium to bring lost souls closer to their feet. Wishing you only the the very best in the future.